Junger and Hetherington have created a fine piece of embedded journalism with their documentary, Restrepo. Restrepo is war—war without the Hollywood lighting, the special effects or the cleverly crafted lines. It’s a war movie from the perspective of a soldier. In 2008, directors Junger and Hetherington spent over a year in Afghanistan’s Korengal Valley with the men of Second Platoon. 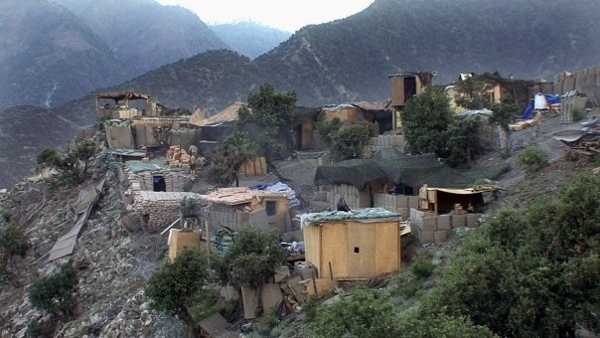 The region was one of the most dangerous outposts in Afghanistan, swarmed with members of al Qaeda and the Taliban. This film follows the men of Second Platoon through the early days of their deployment, to the erection of Restrepo outpost (named after a fallen comrade PFC Juan Restrepo) to their final days in the area. Moments of extreme boredom are punctuated by firefights with the enemy and what can only be described as utter chaos. Impromptu dance parties and jokes about homosexuality break up the insanity and add lighthearted elements to this otherwise heavy film. The most moving footage of Restrepo are the close up interviews conducted with surviving soldiers after their return from combat. The men discuss the horrors of deployment, losing comrades to the enemy and the reoccurring nightmares that come with sleep. Even more profound, are the moments when the men lose their ability to speak about the experience all together. Restrepo may be the finest documentary created about war in our time.